Could you forgive someone for killing your child–even if it was an accident? Two years ago, Freya Wilson accidentally hit an Amish man with her car, killing him instantly. She left him and drove away, terrified her violent ex would locate her using his police connections if she turned herself in. Adam Lapp, the victim’s brother, left the Amish after his brother Robert’s death to become a police officer at Covert Police Detectives Unit and seek justice for his brother’s death. After getting some information from a witness, he makes it his personal mission to track down the mysterious woman in the silver car who killed Robert and left him dead in the street. He wants to make her pay. When Freya tells him the truth, he doesn’t arrest her as planned. He expected the woman who killed his brother to be heartless and cruel. He never expected her to a timid, kind, and beautiful woman who is running for her life from a controlling ex who wants her dead. He didn’t expect his heart to want to forgive her and get to know her more. When Freya asks him to take her to his family so she can also tell them what happened, he agrees. But when Freya meets Robert’s parents Hannah and Aaron Lapp, along with his widow Maria, will she have the courage to say what she came there to say, or will she crumble? Will she find hope in the ashes, or just more darkness and sorrow? For more info and some free author training please visit her website. 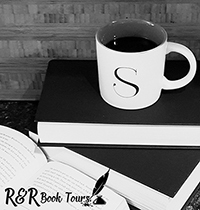 On her website you can also join her email list to receive a few of her eBooks for free and be the first to know about new releases! She also loves hearing from her readers, so send her an email. Freya Wilson was on the run from her abusive fiancé when she accidentally hit and killed an Amish man, Robert Lapp. She meets his brother, Adam who left the Amish community to find his brother’s killer. 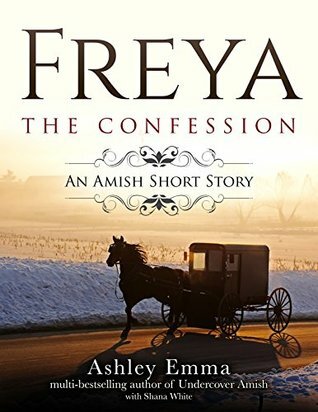 This story follows Freya and Adam as they return to the Amish community. Although Freya is scared, it is time that she tells Adam’s family about what happened to Robert. This is a short yet heartbreaking and warming story. Freya is broken by the fact that she killed Robert. You can tell that she truly did not want this to happen. Unfortunately she was trying to hide from her ex. The reactions from Aaron, Hannah, and Maria make this story even more special. This is a wonderful story. I am really curious about the first book and will be hunting down a copy. This book sounds good, although really emotional and heartbreaking. It was a great short story. I would love to read it as a full novel.